On Sunday, September 10, 2017, at 9:10 A.M., Hurricane Irma made landfall in the southernmost part of Florida and would go on to cause power outages to almost 5 million homes and businesses across the Sunshine State over the next few days. The most severely affected part of Florida and the direct hit of the hurricane was north of Key West to Marathon in the famous Florida Keys. The Florida Keys, about 110 miles south of Miami, had fallen trees blocking roads and debris scattered across neighborhoods. “When we got to the Keys, we saw a lot of boats washed ashore,” said Florida Governor Rick Scott. 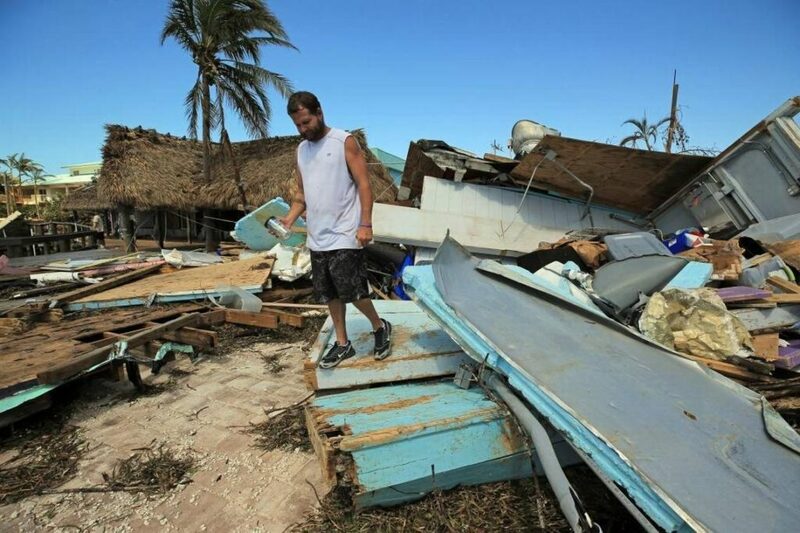 “Almost every trailer park, everything was overturned.” Based on initial estimates, 25% of the houses on the chain of islands have been destroyed, the Federal Emergency Management Agency (FEMA) said Tuesday. Another 65% suffered major damage. Around 79,000 people live in the Florida Keys in popular tourist locations like Key West, Key Largo, Islamorada, and Marathon. “Basically, every house in the Keys was impacted some way,” FEMA Administrator Brock Long said. There were also effects to two schools and the Miami Marlins Stadium. Storm surge from Hurricane Irma caused multiple boats that were in nearby Dinner Key Marina to wash up onto Ransom Everglades’ football field. Ransom Everglades is a private 6-12 school located right on Biscayne Bay. The retractable roof of Miami Marlins’ baseball stadium suffered some damage. There were also municipalities across Miami-Dade County that were negatively affected. 90 percent of the City of Miami Beach’s traffic signals were not operating. Keys Gate Charter High School, located in the City of Homestead, lost its roof.